W 180. 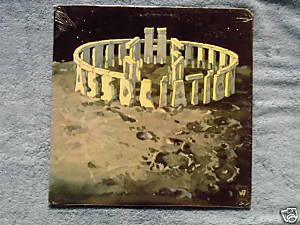 The Association 1969 LP includes: "Look At Me, Look At You" (Terry Kirkman), "Yes I Will" (John Boylan) - 2:34 "Love Affair" (Jules Alexander) - 4:07 "The Nest" (Skip Carmel/ Ted Bluechel) - 3:29 "What Were The Words?" (Jim Yester) - 2:29 "Are You Ready?" (Larry Ramos/ Tony Ortega) - 2:47 "Dubuque Blues" (Jules Alexander) - 3:18 "Under Branches" (Jules Alexander/Skip Carmel) - 4:24 "I Am Up For Europe" (Brian Cole/ Jules Alexander) - 2:34 "Broccoli" (Russ Giguere) - 2:17 "Goodbye Forever"(Jules Alexander/Rita Martinson/ Terry Kirkman) - 2:33 "Boy On The Mountain" (Richard Thompson/ Terry Kirkman) - 4:20 Sealed LP with sawcut in upper right corner, some corner wear.